Efforts to fight terrorism should not be hampered by perpetuating sterotypes against Muslims, said the Muslim Council of Britain (MCB), after police in England used the phrase “Allahu Akbar” at an anti-terror training exercise. 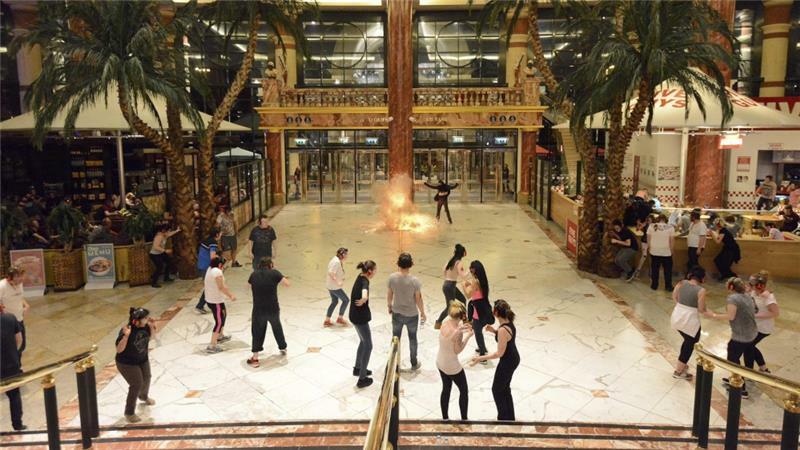 Monday’s exercise at a shopping mall in Manchester comprised over 800 volunteers, including a masked man dressed in black who, in a video footage, was seen running and shouting the words before setting off an explosion. Miqdaad Versi, assistant secretary general of the MCB, told Al Jazeera that “by using this word [in the terror training], Muslims around the world are being associated with terrorists”. “Muslims use this term in prayers and is a perfectly noble term and we must not allow the terrorists to hijack it,” said Versi. Versi added that “using this term in such exercises is not helpful in any way” before welcoming the police for “recognising the problem and for apologising”. Reactions raced through social media, mostly on Twitter, where people condemned the act. “I’m disgusted by Manchester Police using “Allah hu Akbar” in a terrorism training exercise. Once again demonising Muslims and Islam,” said a Twitter user.